There were some fun 4th of July ideas shared for Show & Tell Saturday and I wanted to make sure you saw them before the 4th actually gets here! Inexpensive party ideas are always a great way to add filler to your party decor and treats. Sweet Southern Blue has some great budget friendly 4th of July picnic ideas that would work for any Independence Day celebration. 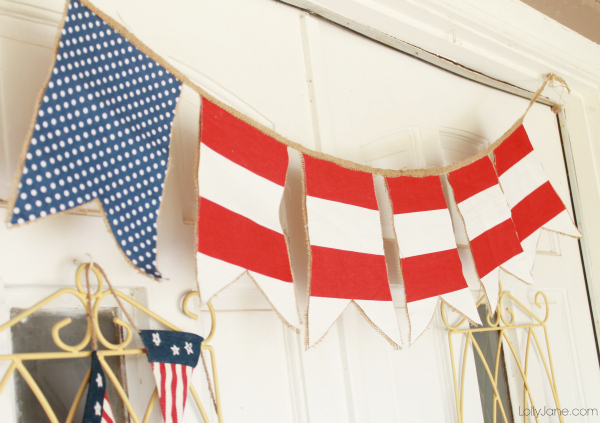 This 4th of July bunting from Lolly Jane is out of this world cute!! I am pretty sure your mantle needs this! I know mine does! Don't have a mantel? It would be super cute on your front door in place of a wreath! 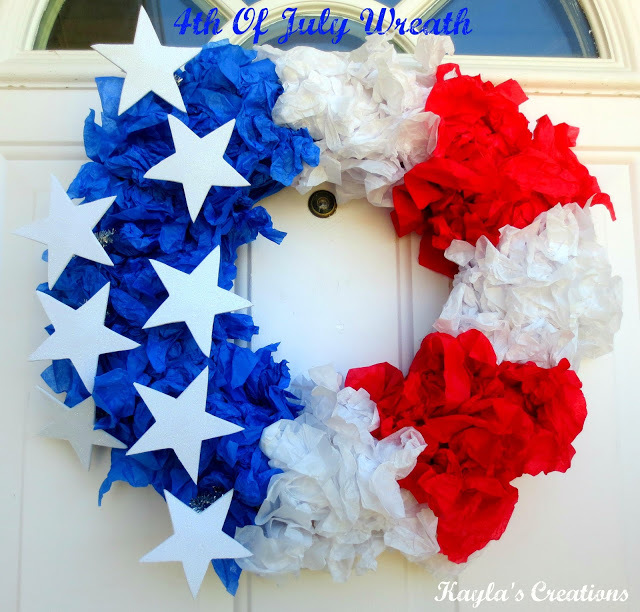 If you are looking for a quick and inexpensive wreath to decorate for your 4th of July party, this tissue paper 4th of July wreath from Kayla's Creations is the perfect last minute decoration idea! 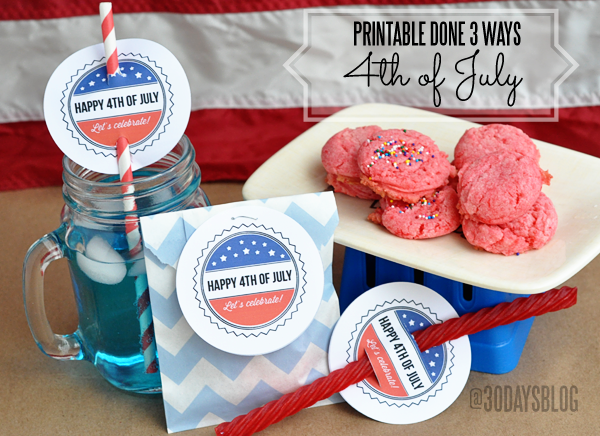 Not only does Mique have some great 4th of July Printables over at 30 Days, she also shares three fun ways to use them for your 4th of July party. Who says decorating a tree has to be reserved for Christmas. Anderson + Grand created this fun 4th of July decorated tree. Since so much of our 4th of July is celebrated outside, this idea would be fun to carryover to one of the trees in our yard! And who says you have to use red, white and blue! 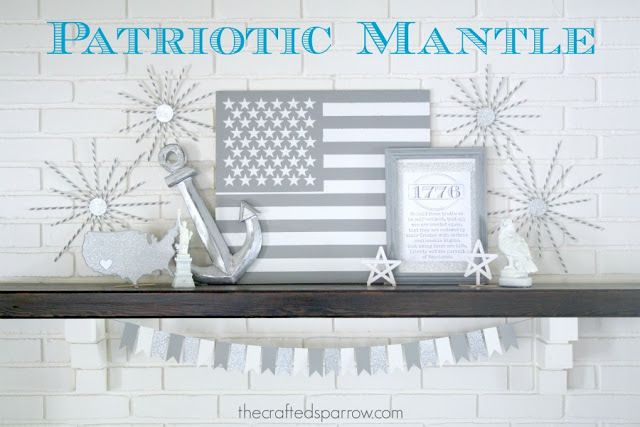 This fun gray and white 4th of July mantel from The Crafted Sparrow sort of makes me feel like I am watching some fun 4th of July celebration on a black and white TV. What a fun idea for decorating for the 4th in a memorable way! 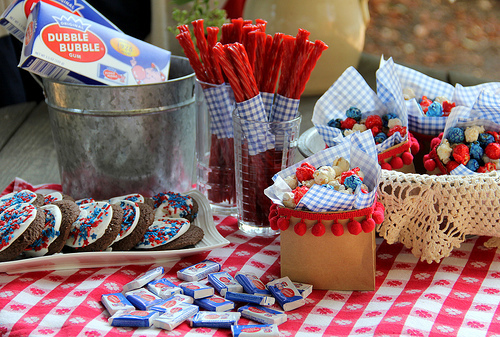 You can check out even more fun patriotic ideas on my latest Show and Tell Saturday post! all look so cute Lorie! Love the last one, pretty unique!